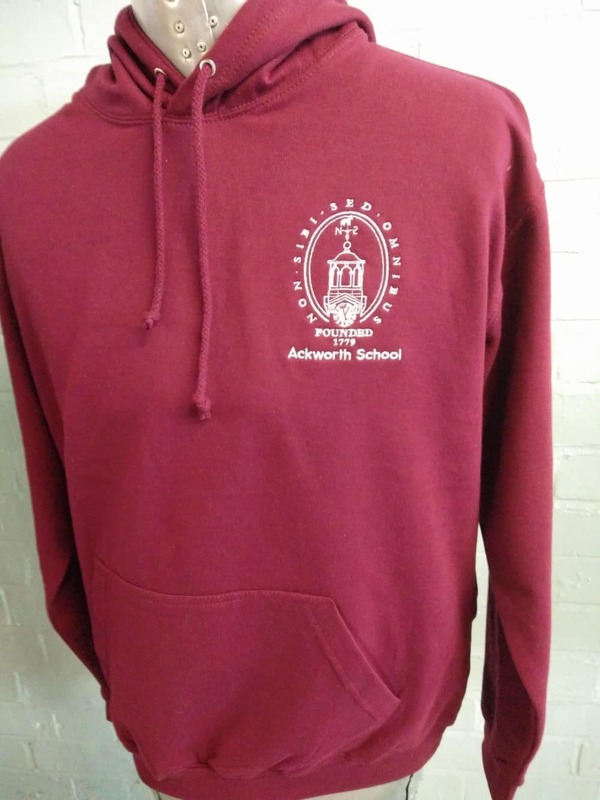 Ackworth School was founded over 200 years ago, when there will have been next to no chance that school leavers would have been wearing personalised leavers hoodies! A boarding school, leaving Ackworth School must be a little like leaving home, so having a personalised hoodie with the embroidered logo, which unlike school uniform, can be worn whenever you like – when you’ve left the school and long into the future – is a great idea. 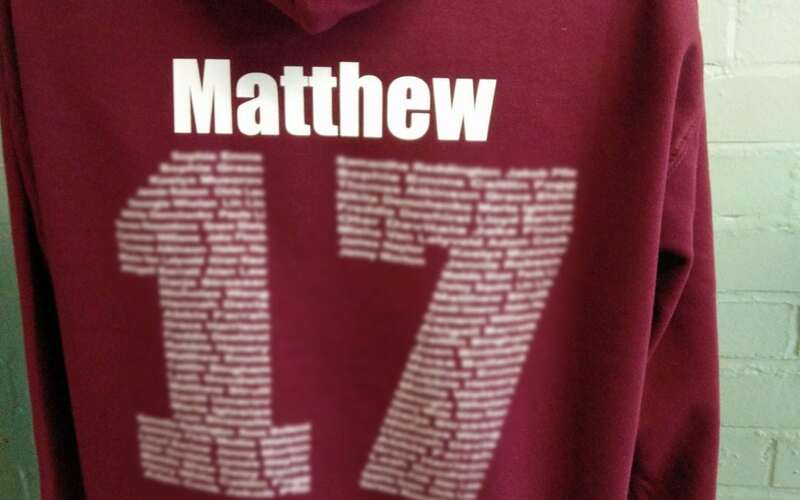 In addition to the embroidered logo on this leavers hoodie, names have been printed onto these burgundy leavers hoodies to personalise them, using white print on the back of the hoodies. To enquire about burgundy leavers hoodies for your school, call us on 01858 461 686.